Yesterday was a lovely one. Andy the druid and his family, Andrea and Steve and Martin Eve came for the Yule ceremony. Three new trees were planted, food was shared and wine drunk. Much love was in the air. Do I sound like some dodgy old hippy? Probably. Don't Bin Tin Pan Alley! 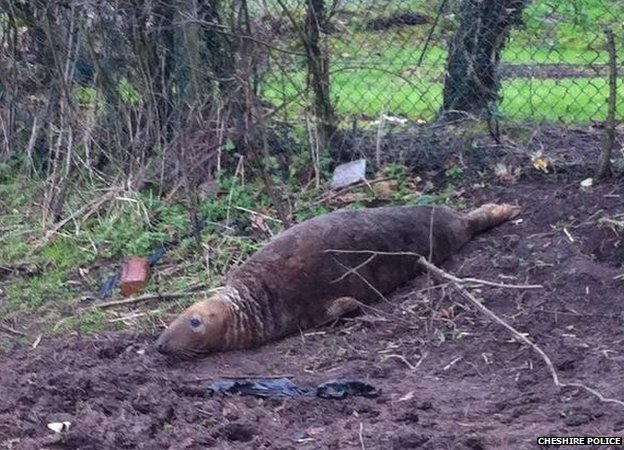 A seal has been found in the middle of a field in Merseyside. The sea mammal was discovered in a "distressed state" by a dog walker near Newton-le-Willows at about 09:45 GMT, police said. Officers have "contained" the seal while British Divers Marine Life Rescue Service make their way to the scene, which is near Newton Brook. It is unclear how the seal got to the field. They are powerful animals and potentially dangerous, police said. They are advising the public to stay away from the area. ON THIS DAY IN 1715 - James Stuart, the "Old Pretender", landed at Petershead after his exile in France.